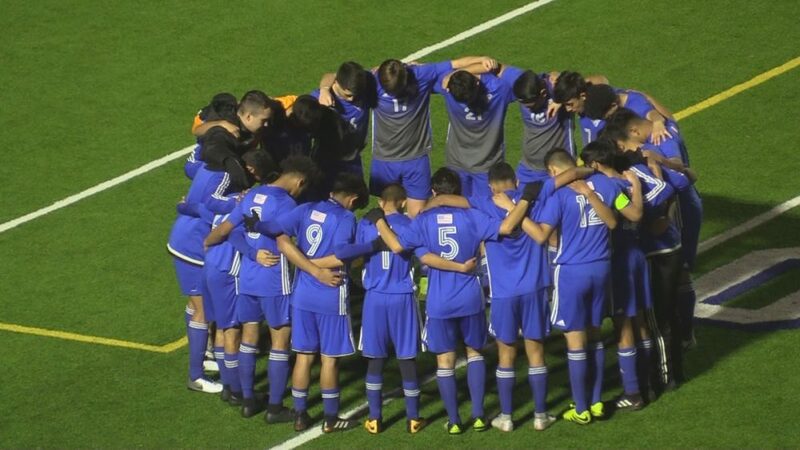 The Wildcats’ soccer team seems to be playing good soccer at the right time. District play begins for the Wildcats Tuesday night (February 12) at home against Greenville. The Lions swept the Wildcats in two district contests last season. Wildcats Soccer Coach Alexi Upton says the Lions appear to be a carbon copy of the Wildcats. He says they are aggressive and like to score a lot of goals. Coach Upton says their program has advanced to the point where talented players step up after good players graduate. He sees the Lions and Mount Pleasant as major threats for the Wildcats in district. The Wildcats tuned up for Greenville with an impressive 4-0 win over Melissa Friday night at The Prim. Coach Upton says the Wildcats played well against a talented Melissa team. He says the Wildcats were great on the attack, kept the ball and made few mistakes. In the Wildcats last four games they have three wins and a tie against a strong Lovejoy team on the road. Lady Cats Soccer Coach Joel Bailey talks about using a giant eraser to wipe out the non-district portion of a tough season so far for the Lady Lions. 1-10-3 becomes 0-0 as all district teams begin play Tuesday (February 12) with the same record. Coach Bailey says this is when the games really count. He says erase the past but learn from earlier mistakes and remember things that worked out well. The Lady Cats open district play Tuesday at Greenville. Coach Bailey says he has not seen them but he notes that lately the Lady Cats seem to have the Lady Lions’ number. He says the Lady Lions lost two of the best impact players from last season to graduation. Coach Bailey says the Lady Cats will not be underestimating anyone. They are getting healthier after lots of early season illness and injuries. One player, Erika VanBenthem, is battling an ankle problem. The Lady Cats lost their last non-district game to Melissa last Friday, 6-0 at Prim Stadium.